It's time to travel and take a breath! 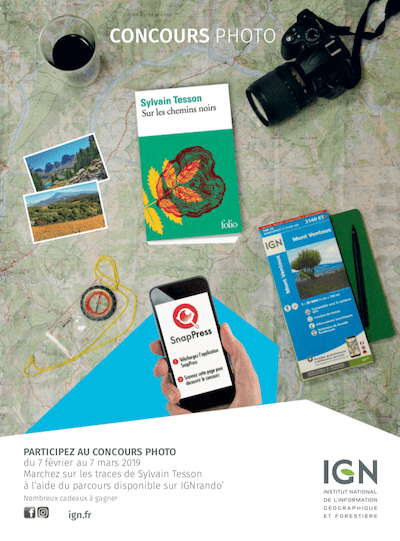 Far from the madness of the big cities, go and recharge your batteries by taking part in the photography contest organized by the IGN. 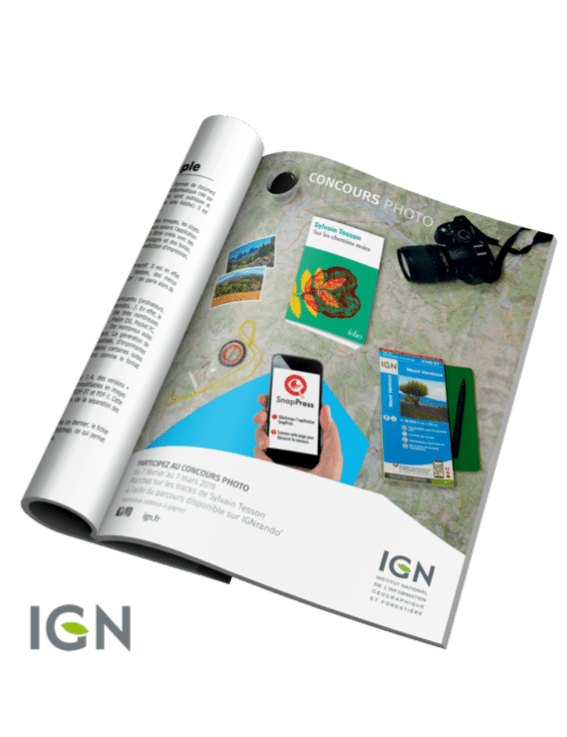 To promote it, the National Institute of Geographical and Forest Information has resorted to augmented reality. On the back cover of a magazine, 80,000 copies available in all bookshops in France, an animation comes alive and breathes like a breath of fresh air in the communication sector. On the program, explanations of the contest, appearance of a geographical map in 3D.